In 2014, the oil and gas industry spent more than $125 billion on exploration, development and production activities in Canada, supporting more than 720,000 direct and indirect jobs. 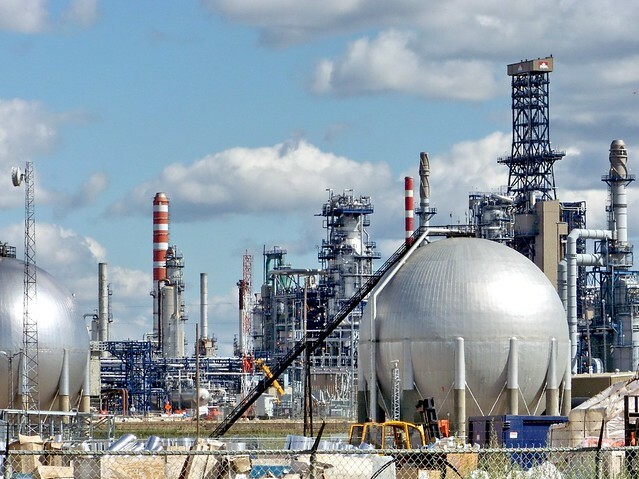 With an anticipated $31 billion reduction in capital and operational expenditures in 2015, the Canadian economy could lose as many as 185,000 direct and indirect jobs related to the oil and gas industry, a 25 per cent decline from 2014, if spending patterns were to remain the same when compared with previous years. This is according to a new employment impact assessment released today by the Petroleum Labour Market Information (PetroLMI) Division of Enform (formerly the Petroleum Human Resources Council). Based on industry expenditure estimates provided by ARC Financial with inputs from the Canadian Association of Petroleum Producers (CAPP) and using Statistics Canada’s interprovincial input-output (I/O) model, this assessment examines the impacts to both direct jobs, such as geological engineers and plant operators, and indirect jobs, such as drilling contractors and helicopter pilots. “The industry has already experienced significant impacts to its labour force since the price of oil started its decline last November,” says Carol Howes, Director of PetroLMI. “If oil prices continue to remain low, we anticipate additional reductions to spending and jobs before things start to turn around.” While the majority of job losses are expected to take place in Alberta, employment impacts would extend across the country. Approximately one-third of jobs could be lost outside of Alberta, with 20,000 job losses estimated in British Columbia and 14,000 job losses estimated in Ontario. Oil and gas engineering construction firms, which perform the majority of work on development projects, would expect to absorb the largest share of employment impacts, accounting for up to 75,000 jobs. The support services sector, which is involved heavily in exploration and development drilling, would account for the next largest share of potential job losses with an estimated decline of 26,000 jobs. The estimated employment impacts presented in this assessment are larger in magnitude but comparable in scale to industry declines reported during the global economic crisis in 2008-09. The most significant spending declines in 2015 are expected in capital expenditures on exploration and development, which are anticipated to decrease by almost $28 billion, down 37 per cent from 2014 but similar to 2009. Even with Canadian oil production expected to grow modestly in 2015, expenditures related to operations are also projected to decline by almost $3.3 billion, down 6.7 per cent from 2014. After adjusting for inflation, the estimated decline in capital and operational expenditures is almost $10 billion, or 34 per cent, more than in 2009. If the anticipated reduction in expenditures is realized, the implications for employment in 2015 could be even more significant. “The outlook for 2016 and beyond is unclear,” says Howes. “What is clear is that the behavior of oil and gas companies will be an important factor in determining the actual number of job losses in 2015. Managing labour costs in a time of declining oil prices through creative workforce retention strategies will become more critical in the months ahead.” HR Trends and Insights: Falling Oil Prices and Decreased Spending – Employment Impacts is now available at no charge on PetroLMI’s website. The Petroleum Labour Market Information (PetroLMI) Division of Enform (formerly the Petroleum Human Resources Council) is a leading resource for labour market information and trends in the Canadian petroleum industry. PetroLMI specializes in providing petroleum labour market data, analysis and insights, as well as occupation profiles and other resources for workforce and career planning. Funded by the Government of Canada’s Sectoral Initiatives Program.